I am fascinated by Figure Skating. I love it so much that I took the decision that next year, at the old age of 21 (yes, it’s old in that sport), I will start figure skating. I always dreamt to do it, and I don’t see any reason for me not to do so. But that’s not the subject of this post. For the last two days, I have been fully immersed in the Olympics, because of the Ladies individual events. I have been waiting for that moment for such a long time, I was really excited. But it left me unsatisfied and disappointed. I already knew Kim Yuna’s short program, “Send in the Clowns”. I loved the dress, I loved the music, and I loved the choreography. She didn’t disappoint me. Her skating was flawless. Given that she hadn’t compete this season, seeing her in Sotchi, seeing her skate like that was amazing. It almost brought tears to my eyes really. She was 17th to go, and her performance was so much better than all the girls before her that it truly highlighted Yuna’s unique talent. She is not just good. She is the best. And she proved it once again. Much later in the afternoon came Carolina Kostner, the italian, 7th in Vancouver four years ago. Her short program was lovely and deserved an high score. I was happy to see her so high in the ranking. She came third, only 0.80pts behind Yuna, a true surprise indeed. Then, Adelina Sotnikova appeared. She was fresh, pretty, dynamic and very strong on her program. Keeping in mind that she is only 17 years old, yes, of course, her skating was excellent. I liked her strength and expressions, she really did look like she wanted it all! Finally, after many hours – and believe me, as much as I love figure skating, at some point it becomes a little bit tiring, in particular because many girls there were young and their performances were not always outstanding – came Mao Asada, last-to-go for the short program. Her performance was heartbreaking to watch, I really wanted to cry. I love Mao, and I always felt sorry for her because everybody tried to push a rivalry between her and Yuna where there was no point to do so. Mao is amazing in her own way. Her career and her accomplishments are worth much more than just this endless comparison, and she deserves to be seen as the outstanding skater she is, no matter what. Seeing her fall on that triple axel, and then make mistakes all along her program was sad and disheartening. Just as Yuna, she announced her retirement following the Sotchi’s Olympics and to leave on a failure like this, I couldn’t imagine it. After that first day, I was super worried. I hoped Yuna would get a strong lead after the short program, but since both Adelina and Carolina were less than 1 point behind her, the results of the free skate were crucial. Believe me, I didn’t sleep very well…. Mao was the first of the “big names” to go, because she only ranked 16th after the short program. I was anxious to see her performance on that free skate. But she did it marvelously! She was graceful, elegant, light and so, so lovely to watch! Her tears at the end made me cry. Such a beautiful way to prove everyone wrong. Yes, she can land that triple axel. Yes, she is still the only woman attempting and doing it at the moment, and just for that, she deserves all the praise in the world. She made it 3rd on the free skate, but she was second in my heart, and IMO definitely better than Adelina. She might only be 6th overall, but her free program was a fantastic send-off and if you have the opportunity, do watch it! She is a true professional and totally deserves her spot as one of the best skaters ever. Carolina Kostner was the 20th to go on the rink to perform her free program, and because of her excellent result on the short program, I really hoped she could live up with the momentum and deliver a flawless performance. She did. She was beautiful, graceful and everything in her skating was just perfect. I honestly believe she deserved better than the bronze medal she was awarded. She didn’t do any mistake, her jumps were clear, her technique perfect. There is no reason to explain why she didn’t rank higher. Then came Adelina Sotnikova, the Olympic Champion 2014. I will be honest here, her skating was really good. She impressed me in many ways and yes, she did really well. 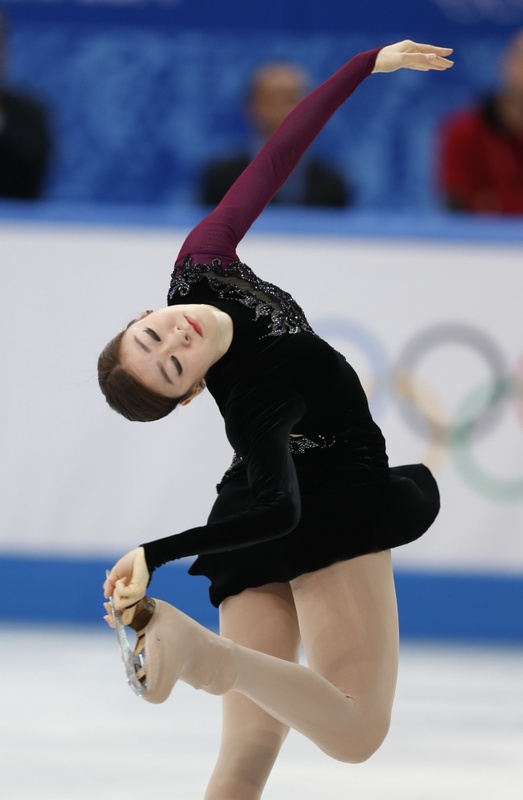 However, in my opinion, she didn’t deserve the gold medal, and even less the lead of more than 5 points over Yuna. 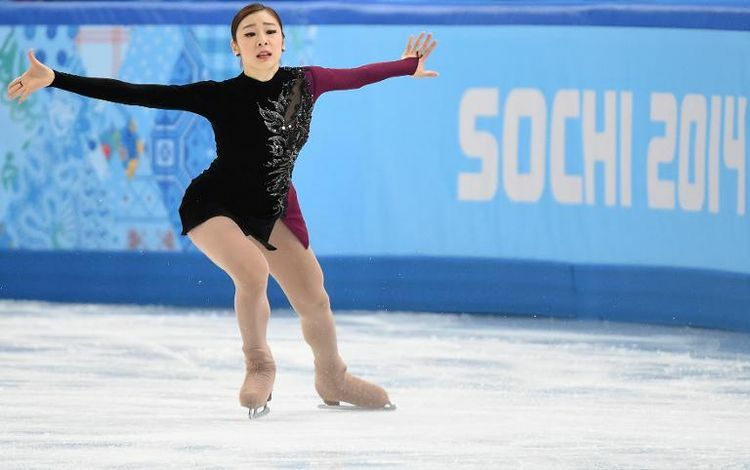 She is a good jumper, no-one would doubt it, but her performance lacked that depth, that maturity that makes Yuna the best ice skater in the world. But as much as it annoyed me at first, I understand that it is not her fault. The thing I am worried about is that she will be remembered as “the girl who took away Yuna Kim’s second olympic title”, and she certainly isn’t responsible for it. She did her best on the rink and she is a good skater. The fact that the results appear unfair has nothing to do with her, and she should not be subjected to all the hatred directed to her at the moment. I believe she would have been happy with any medal, and the judges should not have advantaged her the way they did. It was too obvious, too big of a difference to seem legitimate or justified. It was unfair and it will tarnish forever her Olympic title, I’m afraid. In any case, congratulation to Adelina for her performance, either it deserved or not the gold medal doesn’t matter. She did a fantastic job and after the huge attention received by Julia Liptniskaya, she reminded Russia that they have another champion, too. Last to go was Queen Yuna. I wanted her to win so badly, yet I knew, even a few months ago that her program was not that strong. I knew it was not that challenging or risqué and I knew it would be hard to grab that gold medal for a second time. But I believed she could do it. 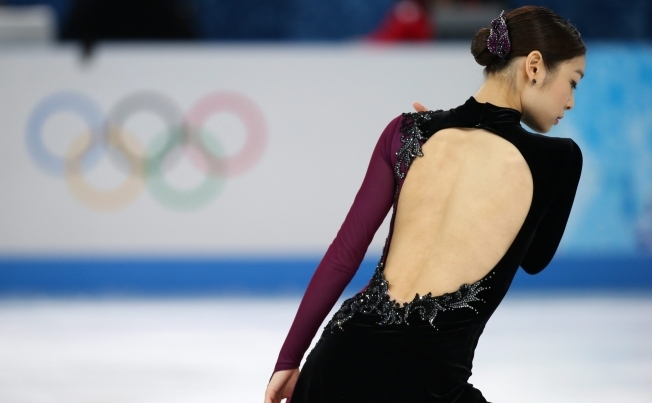 She performed so flawlessly in Sochi that I was SURE she had it. Even the BBC journalists were saying that she was going for the gold. We all believed it. Until the score were announced, I was so sure she’d secured her second olympic title…. And then the score appeared. And my heart stopped. First I was shocked, then horrified and finally heartbroken. 5 points difference is huge. It was like a slap in the face, really. Yes, Yuna did one less jump. Yes, she did one less combination, but god, she performed so well, the way she delivered her program was way ahead of everyone else. She was perfect. If figure skating was only about jumps, that silver medal would have been justified, but it is not the case, and that’s why so many people are angry. But you know what? I don’t care if she gets the gold or the silver or even nothing at all. What truly matters is that she delivered an incredible performance that gave me goosebumps. It’s not the medals I want to remember, it’s her skating. Her way of moving, her grace, her elegance, her expressions, her perfect landings and her beautiful choreographies. That’s what makes her a legend. When Yuna is skating, it has a beauty, a depth, a power that no other skater achieves. It’s so much more than just a physical performance. She is performing with everything she has, her fingers, her face, even her eyes, and in that she is unique. That’s what places her above all the others, even if the results don’t necessarily support it. It’s something that can’t be put in numbers, that can’t be scored. Yes, this article is full of love for Yuna. And for Mao. They are incredible skaters, and I will miss seeing them compete, but god, they deserve to retire and finally enjoy life without the pressure and pain of training and competitions!